For comic creators out there, the enormous rise in what’s being released these days can be a blessing or a curse. It means more opportunities, but with that comes greater competition as well. That said, those opportunities can change everything for someone bringing a comic to life, and how you leverage them can define your success in a major way. Maybe the most exciting options available these days are crowd-funding tools like Kickstarter, as they give self-publishing creators the ability to develop funding for their work in a serious way. That’s huge. But if you’ve ever backed or tried to back a Kickstarter, you know things can go wrong in a huge way. There are all kinds of pitfalls available to creators looking to fund a project on there. And while there are tips and tricks articles out there that can guide you in a way, for creators out there, having something of depth and substance from someone has succeeded in a big way could be a valuable thing. 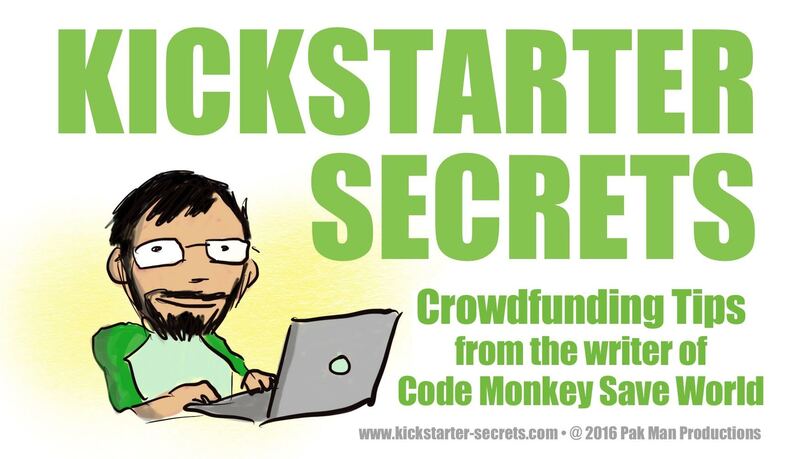 That’s what writer Greg Pak was thinking as he developed a new Kickstarter called Kickstarter Secrets, an ebook designed to help crowd-funding comic creators find success in their efforts, no matter the experience level. With the project launching today, Greg and I talked about the value of Kickstarter, why he wanted to put this project together, the pressure on him to make this a success given the nature of the book, whether Kickstarter can be a tool creators can lean on to release their work entirely, and much more. Give it a read, and if you’re interested in backing the project and getting an ebook, you have 30 days to do so starting now. Here’s where you can back it. While you’re obviously still busy in for-hire comics work, you’ve seen a lot of success with Kickstarters both for comics and other projects. What makes it such a powerful option for creators and so personally appealing to you? GP: I’ve loved all my work-for-hire gigs and I’m hugely grateful to all the companies who have hired me. At the same time, creator-owned projects are a critical part of my game plan, for both creative and financial reasons. And certain projects just make sense for Kickstarter. For first time creators who are still working on getting the attention of publishers, Kickstarter can be a way to use their existing personal networks to raise the modest amount of money necessary to print a short run of books. Or for more established creators, Kickstarter might just be the most efficient way to get certain projects out into the world. CODE MONKEY SAVE WORLD, for example, is a graphic novel based on the songs of Jonathan Coulton, an independent singer songwriter who’s built a tremendous fan base that he’s got direct contact with via his email lists and social media. Yes, we probably could have found a publisher willing to back the project. But given Jonathan’s relationship with his fans, Kickstarter just felt like the most efficient way to get as many copies of the book as possible as quickly as possible into the hands of people who would most want it. And by that point in my career, I’d built enough social media presence and accumulated the experience necessary to feel ready to take on the role of editor, publisher, and publicist as well as writer. And then sometimes you have a project that’s just tough to pre-sell to existing publishers or companies. Very often that’s a good warning sign — maybe the project isn’t fully baked and you need to keep working on it. But sometimes the gatekeepers just don’t get it or their particular business plan doesn’t allow them to reach the audience you know is out there. Crowdfunding becomes a great way for creators to reach their audiences with projects that mainstream companies may just not get. Finally, a Kickstarter campaign isn’t just about selling your work. It’s about building a community of backers who may help you throughout your career. Each Kickstarter campaign gives you a mailing list of folks who have actually put up money to support your work. If you come through for them, you can let them know about your future projects and keep on building beautiful things together. It’s hard to exaggerate how valuable that can be. So you’re launching a Kickstarter for a book that helps comic creators (and really all kinds of creators) learn tips and tricks on how to successfully run a Kickstarter campaign. Why is this a necessary guide, and why are you the person people should listen to, especially in a sea of articles focused on similar objectives. GP: Anyone planning to run a Kickstarter should absolutely hit Google and wade through that existing sea of articles of Kickstarter tips. I wrote one myself — you can check it out here. Everyone has a different experience when running a Kickstarter campaign and it’s a great idea to learn from a variety of people’s successes and mistakes. What KICKSTARTER SECRETS brings to the table is a level of depth and detail that goes far beyond a short blog post. KICKSTARTER SECRETS will look at every aspect of planning and running a campaign with concrete, supremely practical details from my actual Kickstarters. How do you build budgets for the different stages of the project — from the ballpark planning budget to the detailed pre-launch budget that’s filled with actual vendor quotes to the kinds of documents that help you track your progress through the campaign and make sure things are scaling properly? What’s the best way to deliver digital rewards? When do postal rates go up? What do you do when you accidentally order 8″ x 10″ cardboard inserts to protect books that are actually 7″ x 10.5″? And I’ll also dig deep into broader questions of long term creative and business goals. How do you decide what dollar goal for your Kickstarter is realistic at this stage in your career — and if necessary, scale your project accordingly? How do you build your network of supporters and how does Kickstarter fit into that plan? What do you do with your project after the campaign is over and you’ve delivered everything to your backers? And why listen to me particularly, you ask? Partly because of the success of my previous campaigns, I suppose. CODE MONKEY SAVE WORLD became the most funded original comics Kickstarter of all time and PRINCESS WHO SAVED HERSELF became Kickstarter’s fourth most funded children’s book. But my mistakes along the way are just as helpful to learn from as my successes. And on a personal level, I’ve always believed creative work isn’t a zero sum game — all of us indie artists gain from sharing information with each other. Many. many other creators gave me key advice and practical tips at critical points in my career. So years ago I ran a website full of no-budget filmmaking tips called FilmHelp, and recently I co-wrote a how-to book called MAKE COMICS LIKE THE PROS with Fred Van Lente. Sharing information with fellow creators through KICKSTARTER SECRETS feels the next natural step for me in that regard. I hope it’ll be useful for you and I thank you for your consideration! Who is this Kickstarter Secrets book for? Is it aimed at Kickstarter veterans, newbies or everyone interested in creating their own project? GP: I’m working hard to make the book insanely helpful to folks planning their first Kickstarters. But given the level of detail, it should be very helpful to folks who have run Kickstarters before but want to see how others handled certain aspects of their campaigns. I still read those “Ten Things You Need to Know Before Launching Your Kickstarter” articles because there’s always something new to learn. And Kickstarter Secrets will be packed full of practical details on every page. Just a tease — if the campaign does well enough, I have some great stretch goals lined up which would enable me to add interviews with some tremendous creators who have had very interesting Kickstarter experiences that will be of special interest to both absolute newbies and veteran creators. More on that soon, knock on wood! Are comics the primary focus or do the book’s ideas work for every type of project? GP: Since my projects have been comics and children’s books, some of the concrete details in Kickstarter Secrets will be most helpful to folks working on publishing projects. If you’re working on a film project, for example, your budget would have some different line items from the budgets I’ll be sharing. But all of the general principles and many of the specific details covered in the book will be relevant to crowdfunding projects of all kinds. If you have physical goods to ship, no matter what size, you’ll face most of the same questions and organizational challenges, even if the packaging you use may vary. And topics such as planning a project of the right scale for you at this point in your career, picking attractive and manageable rewards and stretch goals, and grappling with promotion and social media apply to any crowdfunding project. One thing that I think is fun is this is a Kickstarter for a book all about how to succeed with Kickstarters. The funding stage is in its own way a proof of concept. How meticulously have you planned this to ensure that this isn’t just a successful Kickstarter, but something that showcases the power of the ideas in the book? This book is exclusively an ebook, which makes sense, but I’m curious as to why you went that route? Doing it as an ebook lets me keep the dollar goal of my Kickstarter campaign as low as possible, which feels important for a specialized how-to book. If you’re doing a children’s book, your potential audience is everyone who has kids or knows someone with kids, which is pretty much everyone. If you’re doing a book of Kickstarter advice, you’re looking at a more narrow category of people. We probably needed about 600 backers to make ABC DISGUSTING happen. With KICKSTARTER SECRETS, I wanted to be able to make the book if I only got about 150 backers. Doing it as an ebook gets the budget low enough that I can set my target goal at just $2000. Doing it as an ebook also makes the production and delivery of the book as fast and seamless as possible. I’ve produced multiple physical books and know how much extra time it would put on the schedule and how much work the shipping would be. Budgeting for time is very important, and I like the idea of not having to put as much time into delivery for this particular project. Finally, it makes great sense for creative reasons. I’ve got a good feeling that the finished book will be full of links, which can be live in a PDF. So the e-book form also feels like the most practical and useful for readers. Of course, if there’s a massive demand for physical copies, that’s something I can think through and possibly figure out how to add to the campaign later. But for now I’m feeling good about the choice to go the way we’re going. Did keeping it strictly as an ebook make it more difficult to create impactful rewards? GP: Great question. Another part of the equation is that I can offer physical copies of my previous books as rewards in this Kickstarter. So I have great physical rewards that have already been produced and that are entirely relevant to the project, since KICKSTARTER SECRETS will be discussing the campaigns for those books in depth. That also helped me feel like printing actual physical copies of KICKSTARTER SECRETS wasn’t critical. While your book is going to be filled with details like this, what has been the most important thing you’ve learned about the Kickstarter process if you had to boil it down to one thing? If you’re going to run a Kickstarter, you’re not just signing on to make the thing you want to make. You’re signing on to handle publicity, outreach, logistics, budgeting, and months of customer service. Ideally, those should be things you actually enjoy — or things you can find trusted partners to handle for you. But this kind of campaign and production will only really work well if you and your team are ready to enthusiastically embrace all of those roles. Almost everything will take more time than you expect. So budget for time as well as money. In fact, overbudget for both time and money. It’s easy with a Kickstarter to add rewards or stretch goals that seem like they’re free — like committing to 20 personalized sketch rewards, for example. That doesn’t cost any money! But those 20 sketches will end up taking you days to complete. There’s the time to actually draw the sketches, of course. But also the time to read and write the multiple emails you’ll need to trade with each sketch backer to determine what that person wants and deal with any follow up questions. Plus the time to figure out the best way to package and ship these very special rewards. And all of this is time you’re spending not making the actual thing you ran the Kickstarter to make. Now this isn’t an argument against offering special rewards — those rewards can be an absolute blast to make and can provide the financial boost that makes the whole project possible. But it’s key to confirm ahead of time that every reward and stretch goal makes sense in terms of money and time. Much has been made about the value of Kickstarter for comic creators, and with good reason. Some have even talked about how it is in its own way, it’s one of the biggest comic publishers around today. I’d probably call it more of a venue than a publisher, but I totally get the point. A huge number of books are being printed and distributed thanks to the tools that Kickstarter provides. Do you see Kickstarter as a primary tool comic creators can lean on to bring their work to life? Or is it more what its title suggests it is – a kickstarter to be used on a case by case basis? GP: One of the glories of Kickstarter is that every creator can figure out for him or herself how to best use it. Some folks may just use it early on to get their first projects printed. Other established creators may use it once or twice for special dream projects. And still others will find a place in their business plan for a regular series of Kickstarters to create projects for a community of backers they hope to grow over the years. All of those are fantastic and totally appropriate ways to use crowdfunding. I think I’m increasingly interested thinking more about the last category, though. I’ll definitely dig into that in KICKSTARTER SECRETS. Given the nature of this project it’s clear you see a ton of value in what Kickstarter offers comic creators. But for those considering using it, how do you know if it’s the right tool for you? GP: Another great question — and I’m going to cover this in detail in the very first chapter of KICKSTARTER SECRETS! Because Kickstarter may not make sense for a given project for a given creator at a given moment in time. Maybe the project’s too big given the creator’s existing network of potential backers. Maybe it’s too big of a creative and logistical challenge for that moment in a creator’s career. But there may be smart ways to scale that dream project so that it will work given a creator’s resources, abilities, and time. KICKSTARTER SECRETS will try to provide some helpful, practical examples and metrics to help folks make those decisions. Were you trepidatious when you first considered launching a project on there?